colored, granite, patina, white, wood stain. 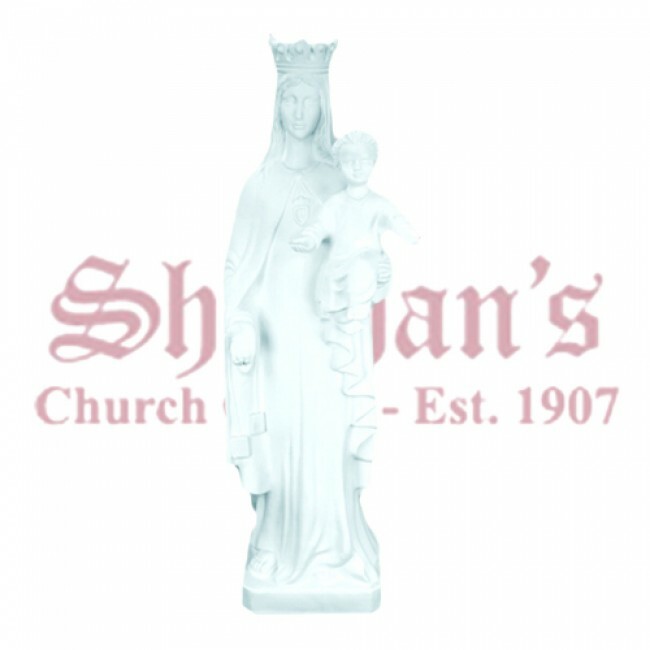 Scupted, durable vinyl. 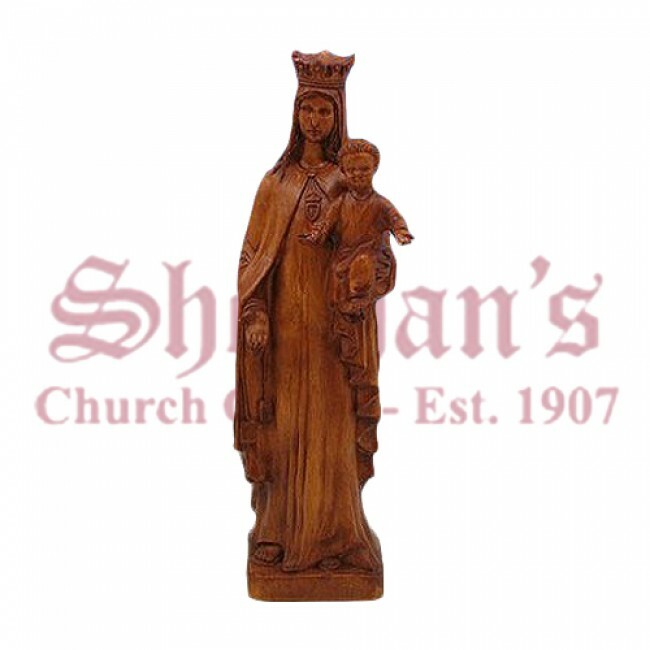 The brown scapular is a worldwide devotion amongst Catholics that began with the Carmelites. 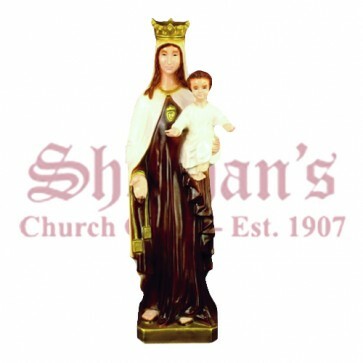 The scapular was given to St. Simon Stock by the Blessed Mother in the thirteenth century to be worn as a sign of salvation. The Our Lady of Mt. 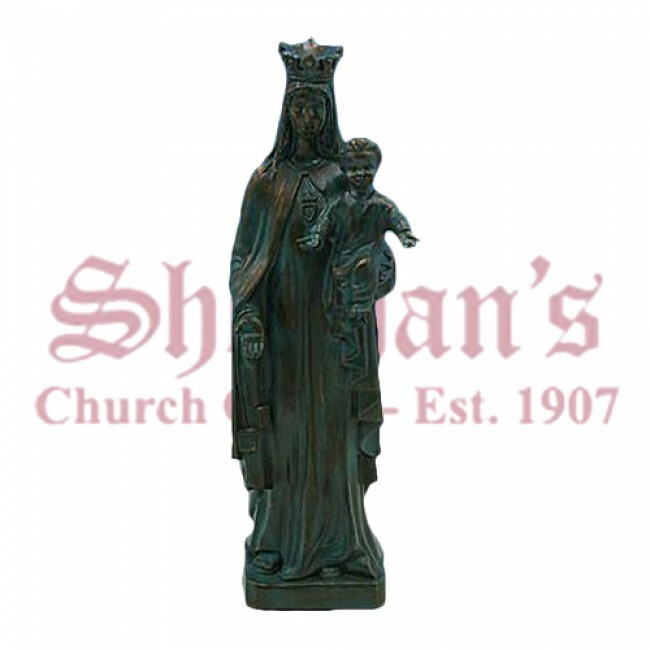 Carmel statue depicts Our Lady holding the child Jesus and the scapular. The beautiful statue is a great addition to any yard or garden space and will remind faithful that salvation is within everyone's reach. 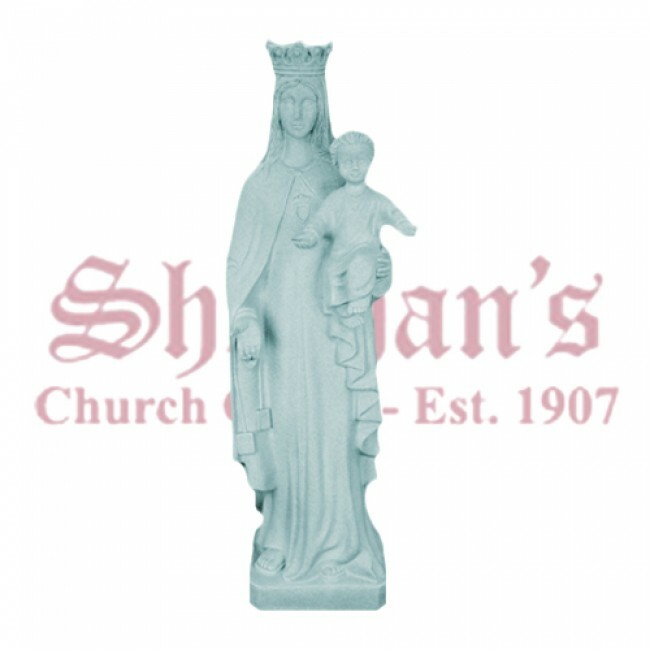 Our Lady of Mt Carmet 24" Outdoor Statue is made from polyvinyl resin.